Australia is fortunate to have a diverse natural environment and a vibrant healthy community with good access to healthcare. However, air pollution, drought, extreme weather and bushfires threaten our health and livelihood. At the 2019 Federal election we call for bold measures to protect and promote health. Download the 2-page version here "DEA Prescription 2-page flyer.pdf"
Download the 3-page version here "DEA Prescription 3-pages including references.pdf"
The Bill and Melinda Gates Foundation and the Wellcome Trust are to be applauded for being the leading sources of funding for global health research. But there are two sticking points, writes DEA's Prof. Colin Butler. The first is the Wellcome Trust's continuing investment in fossil fuels and the second is the failure to address planetary health - climate change remains the biggest threat to global health. As a result of the failure of its carbon capture and storage project, the Gorgon plant has been venting toxic chemicals including BTEX chemicals and mercury directly into the atmosphere. Dr George Crisp of Doctors for the Environment expressed serious concerns by the lack of environmental monitoring and regulation at Chevron’s Gorgon LNG facility saying, “It is not acceptable to leave it to Chevron to decide whether people were at risk. It’s the government’s responsibility to protect the health of West Australians, not Chevron." DEA's oil and gas policy can be found here. Doctors for the Environment Australia is among a wide-ranging international coalition of medical and healthcare organisations that have signed A Call for Clinicians to Act on Planetary Health, which is published today in the prestigious medical journal The Lancet. The call warns of the severe impacts of accelerating global environmental change on our health and the dire need to address the causes. It also seeks to galvanise doctors, nurses and other clinicians to work with their patients on lifestyle modifications that would benefit both planetary health and individual health. Australia's healthcare system: can it cope with climate change? DEA is a signatory to an Open Letter from leading Australian organisations calling for all candidates in the upcoming federal election to address with speed and urgency the detrimental effects of climate change on public health. Climate change poses an unprecedented threat to the health of people in Australia and across the world. The full text of the letter can be read here. Indian billionaire Gautam Adani's proposed coal mine if it's allowed to proceed will add tonnes of C02 into the atmosphere and accelerate climate change. DEA has written a letter of support to the Stop Adani Convoy of concerned Australians which has been organised by the Bob Brown Foundation. 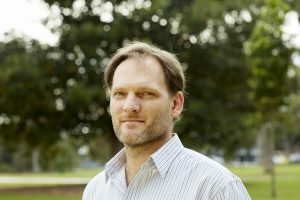 An independent study of coal power’s health impacts by epidemiologist and researcher Dr Benjamin Ewald, stated 279 deaths occur in New South Wales alone annually from coal - related air pollution. This year’s National Pollutant Inventory report results further strengthen the case for getting tough on air pollution. Despite federal Labor's announcement to reduce emissions by 45% by 2030, WA's state Labor government is promoting the development of massive new LNG projects in the north of the state. DEA has recently released a report and made statements protesting expanding off shore gas developments, calling climate change "the biggest threat to health in human history." "Continued expansion of this industry without consideration of its emissions cannot continue," said DEA's Dr Richard Yin. MJA InSight: Planetary health or planetary sepsis? "It is becoming clear that the dangers to health by unrestrained climate change may become insurmountable", writes DEA's co-chair, Kingsley Faulkner in MJA InSight. Doctors from around Australia gathered in Hobart on 3 April 2019 to declare a climate emergency. They called on the Australian federal and state governments to respond to the significant early signs of climate chaos. The medical doctors from numerous specialties stated that anything less on the part of governments will amount to negligence. The conflicted beauty of Tasmania’s Tarkine, takayna in the Tasmanian Aboriginal palawa kani language, is unknown to most Australians. The Tasmanian government is keeping its disgraceful degradation of world heritage forests out of national attention, losing precious tourism investment in exchange for a few votes, while it devalues this great asset. Tasmanian DEA members Rohan Church and Darren Briggs have been planning for years to take a group of us to this extraordinary place to learn of the beauty and outrage. The 2019 DEA conference in Hobart brought us together and provided a chance to take a group out. Sixteen people began their Tarkine adventure on 8th April 2019 after the Hobart iDEA19 conference. WA doctors have today welcomed the Sustainable Health Review report as a first step in addressing climate change as a major health threat, and creating a health system that focuses more on prevention than cure. Read more here. 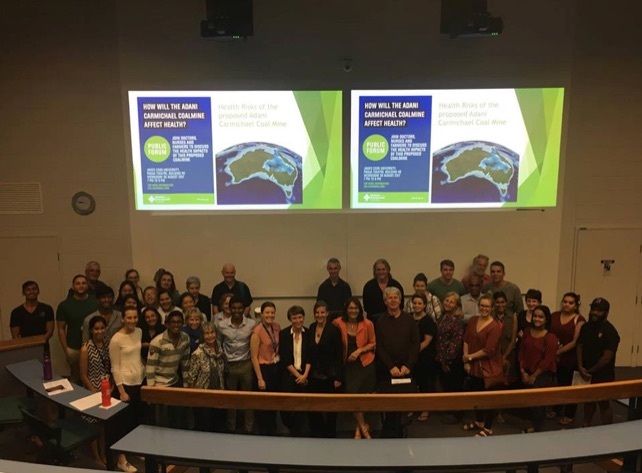 Doctors for the Environment Australia were honoured to welcome our colleagues, other health professionals, climate experts, and guests at this year's hugely successful iDEA19 conference in nipaluna/Hobart on 5 -7 April. We came together to address the biggest challenge and opportunity facing humanity today— the impacts of climate change on our health. A major highlight of the conference was the declaration of a climate emergency which sparked national and international interest. Doctors for the Environment Australia applauds the announcement by the ALP to develop Australia’s first National Strategy on Climate Change and Health. This strategy recognises that any further delay in addressing climate change by any new Federal Government is not tenable. Emissions measured from Queensland government owned coal-fired power station doubled in the year after continuous emission monitoring was installed. Previously, emissions were estimated as required under the national pollutant reporting scheme. In one year, measurements jumped from 18 to 36 million kg in oxides of nitrogen emissions. DEA and EJA are calling for an urgent overhaul of pollution monitoring and controls. Epidemiologist and Doctors for the Environment spokesman Ben Ewald said the health burden from the turbine upgrade was unclear. "If they generate more power from the same coal we will have the same pollution burden... but if they are increasing the plant's power capacity by 40MW why would they not increase power output?," he said. Increased power output means more emissions. This is members-only content - please log in to view. Alternatively, if you are a Doctor or Medical Student, please join DEA. DEA commends the Australian Medical Association’s call for the Australian Government to establish an Australian Sustainable Development Unit (SDU), based on the successful model used in England’s National Health Service (NHS). The AMA’s recent release of a nine-page document on healthcare environmental sustainability aims to make hospitals and health services more environmentally sustainable. It's not a future health threat. It's already here. In an article by Medical Republic, DEA's Dr David King talks about the increasing problems of treating patients in our changing climate. But addressing climate change has many public health benefits - from cleaning up air pollution to improving our diets. The AMA, AMSA, DEA, GPs and and other medical organisations are calling for action on climate change to safeguard and improve out health. and the full article with hyperlinks in Renew Economy, here. In an op-ed published in The Conversation, David Shearman and Melissa Haswell write that Australia aspires to become the world’s largest exporter of gas. But the methane that escapes is a much more potent short-term greenhouse gas than carbon dioxide. And there are significant local and regional risks to health and well-being associated with unconventional gas mining. Their comprehensive review examines the current state of the evidence. A new comprehensive review has shown that gas as a safe transition fuel is a dangerous myth, and that in reality this fossil fuel – methane gas - is imperilling the health of Australians. Doctors for the Environment Australia is calling on governments to stop new gas expansions and to increase monitoring, regulation and management of existing wells. Dr Rosalie Shultz writes, "How has climate change affected you, your community and your workplace? Bushfires have devastated much of the Larapinta Trail near my home in Alice Springs. Favourite sites and sections are incinerated. I feel grief and sorrow at loss of beauty, but also fear for destruction of ecosystems and the contribution of these fires to ongoing invasion of the region by weeds." Doctors will today take to the streets in support of the anticipated thousands of Australian school students who will miss classes to call for urgent action on climate change. Medical group Doctors for the Environment Australia says climate change is the biggest risk to public health in human history and children, who are especially vulnerable, have good reason to speak out. Many people with unhealthy lifestyle habits make changes only after a wake-up call, a significant health event that brings home to them how precious life is, writes Dr Kris Barnden. The environmental catastrophes that have visited Tasmania and the rest of Australia this summer are our wake-up call. "Project Caesar", Glencore’s multi-million-dollar coal campaign, sought to disseminate information that would build community, industrial and political pressure to continue to support coal while denigrating expansion of renewables. It is imperative that major polluters such as Glencore get serious about their responsibilities towards reducing their contributions to human-caused climate change. More heat records are tumbling in SE Queensland this week, with prolonged heat waves becoming the new normal for the area. DEA's Dr David King said that “The predictions from the CSIRO are that over the next 50 years we’re going to have two to three times as many extreme heatwaves around Australia” As well as being dangerous, heatwaves impact our productivity. Australian school children will skip school this Friday as part of a global movement of young people taking to the streets to demand action on climate change. Dr Richard Yin says, "As a doctor and a father, I’ll be there supporting them." The kids are right – 25 years of climate inaction has brought us to the brink of a climate abyss. How do we reduce diet related disease, improve health and feed a global population of 10 billion by 2050 without damaging our planet? The Lancet-EAT commission’s recent launch of “Food in the Anthropocene” sets scientific targets to address this challenging question. It concludes that food could be “the single strongest lever to optimise human health and environmental sustainability on Earth”. However, to achieve this, “a radical transformation of the global food system is urgently required”. Chinese investors have proposed a plan for the stations on Hunter Economic Zone land. DEA's Dr John Van Der Kallen comments that "It's ludicrous to think anyone's contemplating it while the world faces a climate change emergency. Are they on another planet? It's the wrong proposal at the wrong place and the wrong time," he said. Read the full article here. Doctors have today dismissed claims by the WA Government and peak industry that gas is a transition fuel, following the welcome announcements by the WA EPA for tighter regulations on pollution from the State’s large greenhouse gas emitters. DEA applauds the children's event, due to take place on 15 March, which will see students skip school to demand strong action on climate change. GP and DEA's Honorary Secretary Dr Richard Yin describes climate change as the ‘biggest risk to public health in human history’. He told NewsGP that it is inspiring to see the next generation of young people take control of their future, as the seriousness of the current situation demands that health advocates take action on climate change ‘for the sake of our children’. The Lancet has described tackling climate change as the ‘greatest global health opportunity of the 21st century.’ The upcoming NSW election is one of those opportunities to improve our health, but we need to vote for politicians who will take climate change seriously. Tackling climate change will involve moving rapidly to renewable energy. DEA's Queensland Chair Dr Beau Frigault writes about the deadly disease meliodosos that has emerged after the record-breaking monsoon in north Queensland. One person has died from melioidosis since the flood, and a further nine people remain in hospital, some of whom are in intensive care. In a city that would normally see a handful of cases a year, this is a significant increase. There may be many more cases of melioidosis to come, as symptoms can show up two to four weeks after exposure. While Queensland has a record of severe weather, yet another "once-in-a-century" event shows how climate change is wreaking havoc on our communities. Dr John Iser writes in Independent Australia about the Black Saturday bushfires. In the ten years since the bushfires of 2009, many improvements have happened in fire prevention and management. However the fundamental major contributing factors to bushfires - heatwaves combined with drought as a consequence of climate change - have been given only lip-service by many in government. In a stunning landmark decision, this week the NSW Land and Environment Court recognised the scientific evidence for climate change and the urgent need to reduce emissions. For this reason, and for the negative impacts on the local community, the court dismissed the appeal and ruled against the opening of a new coal mine at Rocky Hill. A Labor government in NSW has promised to review the emissions standards of all NSW's coal-fired power stations, after their current licences have been renewed by the NSW EPA without significant change. DEA's Dr Ben Ewald said "The decision makers in the EPA are ignoring compelling health reasons to clean up power station air pollution. Modern pollution controls are required on vehicles, so why not power stations?" An independent study of coal power’s health impacts by epidemiologist and researcher Dr Benjamin Ewald published last year stated 279 deaths occur in New South Wales alone annually from related air pollution. In an article from SolarQuotes, this year's NPI report strengthens the case for getting tough on air pollution. Australia has had it's hottest month on record - the mean average temperature was greater 30 degrees, and records are tumbling. DEA's Dr John van der Kallen interviewed by the ABC about the health impacts of climate change and talks about the increase in frequency of these events going into the future. Doctors call for an end to further extensions of existing coalmines or new mines, such as the Galilee Basin, after a landmark ruling in the NSW Land and Environment Court firmly rejected the Rocky Hill open cut coalmine proposal. 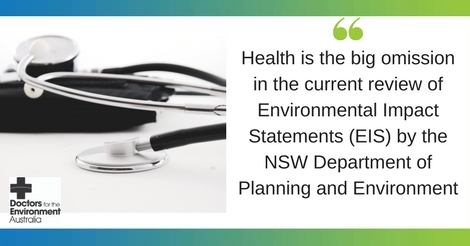 A comprehensive new report released today by Doctors for the Environment Australia shows NSW’s air quality deteriorated markedly in 2018, overshooting the national standards several times and putting the health of people at risk, especially in parts of Sydney and in the Hunter. DEA's Dr David Shearman and Prof. Melissa Haswell write that while state governments are embracing our urgent need for renewable energy transitions, regulations for large housing developments are lagging behind, facing mandated connections to gas infrastructure within their contracts. Mandatory gas connections are anti-choice, anti-competitive and contrary to combatting climate change. "Tasmania’s usually pristine air is clouded with bushfire smoke", write DEA doctors Anna Johnston and Zoe Ling. Doctors around the state are treating significant health problems exacerbated by toxic bushfire fumes – asthma, heart attacks, strokes, premature births and poor diabetes control. Current government policies are woefully inadequate in limiting warming. The situation will only get worse without effective action. While the rich get richer, not only do the poor get poorer but the environment continues to suffer, writes Dr David Shearman. As a GP working in western Sydney, where temperatures can be hotter than the rest of the city, Dr Sujata Allan sees how heat affects vulnerable people every day. She writes that doctors are doing everything they can to ensure patients stay safe in extreme heat, but they cannot in good faith dispense short-term health tips for heatwaves without an urgent plea to tackle climate change. "The fact that this much-needed climate leadership is glaringly absent makes me sick," says Dr Allan. 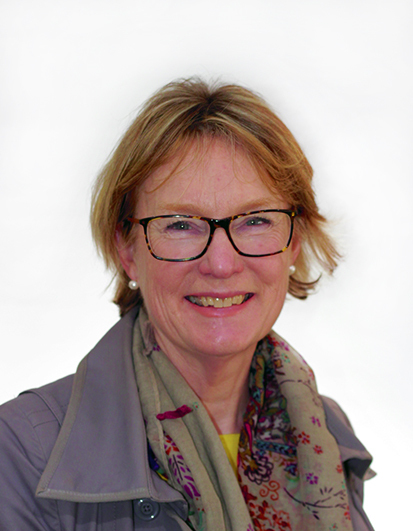 Nutritionist and dietitian Dr Rosemary Stanton, who is part of DEA's Scientific Advisory Committee, and DEA member Dr Kris Barnden, examine the results of a recent major scientific report by The Lancet-EAT commission. The three-year study calls for transformative change in how we grow our food and what we eat to improve health, save the planet from further damage to our environment and feed an anticipated 10 billion people by 2050. Many states this week announced health warnings about the ongoing heatwave, which has seen record-breaking temperatures in various parts of Australia. DEA member Dr Sujata Allan who works as a GP in western Sydney, which can have maximum temperatures that are as much as 10C higher than in coastal areas, was interviewed by the Guardian about the impact a changing climate can have on human health. A Healthcare Sustainability Unit (HSU) would assist the Australian health care system (primary, secondary and tertiary) to deliver quality health care in environmentally and financially sustainable ways. A HSU could lead research, policy development, system changes and education of staff, fulfilling a central national co-ordinating role for maximum effectiveness and successful implementation of initiatives at state, regional, health network, hospital and practice levels. "Our health care sector contributes a hefty 7% to Australia's carbon footprint. But DEA doctors Richard Yin and George Crisp have taken steps to change that in their Perth practice. View the full article from the Medical Observer here." DEA Members Drs Peter Tait, Sujata Allan & Anthea Katelaris have published a paper in the Australian Journal Of General Practice aiming to introduce GPs to heat-related morbidity and mortality. As health professionals, we have an expected overriding duty of care to do no harm and advocate for action to protect health and humanity. Yet few of us consider the health consequences associated with the significant ecological footprint, including greenhouse gas emissions, of our workplaces. Climate denial is dangerous - it's delaying our urgent need for emissions reduction. Climate policy must be guided by scientific expert opinion and removed from political chicanery by the implementation of new environmental laws which have application to health. From Prof. Fiona Stanley and Dr George Crisp an urgent reminder that it’s children who will suffer most if we fail to take effective action to reduce emissions. Children are especially vulnerable to the health impacts of a warming climate. As doctors, we have a role and responsibility to speak out and advocate for their future health and security. Climate change is the greatest threat to human health in the current century, with our children living in a world of rising temperatures and increasing extreme weather events. Children are especially vulnerable and face growing threats from communicable diseases (diarrhoea, vector-borne diseases) and non-communicable diseases (asthma, malnutrition), injuries, and mental health impacts because of the changing climate and related extreme weather events. New report from EJA. The Health Burden of fine particle pollution from electricity generation in NSW. Dr Ben Ewald, DEA member, GP and epidemiologist has written a report for Environmental Justice Australia on the annual health burden from exposure to fine particle pollution from the five coal fired power stations in NSW. DEA Chair, Professor Kingsley Faulkner spoke Wednesday 21st November to a conference of Australian and New Zealand emergency doctors, issuing "an impassioned call to arms to ED doctors on the moral and ethical imperative of climate change, an issue with significant implications for their work". He spoke of the wide ranging health effects and the urgency for action on climate change. "A new report by the Australian Conservation Foundation finds 90% of the burden of air pollution falls on low and middle income households, while wealthier Australians experience only a fraction of annual national emissions. Of the five most polluted postal areas, coal-fired power stations are the largest emitters in three, while mining operations create the most in the other two. The most polluted urban areas are often located on the fringes of major population centres, including the Port of Brisbane, Altona in Melbourne, Botany Bay and Port Adelaide". Why aren't public institutions managing the greatest public health threat of the 21st century? DEA member Kathleen Wild spoke at the NSW Independent Planning Commission on why the proposed Bylong Valley coal mine should not go ahead. She explains why in an article published in the Newcastle Herald Monday November 19th. A new report out today by Honorary Associate Professor, NSW, Mark Diesendorf, published by the Australia Institute is a road map to a 100% renewable electricity system, essential if Australia is to play its part in limiting global warming to less than 2 degrees Celsius. 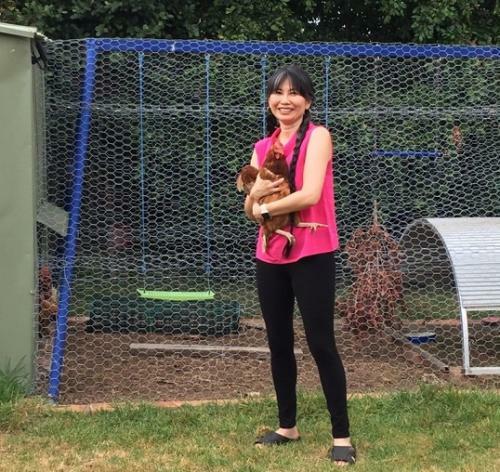 DEA SA Committee member, Leanne Nguyen, caught up with Dr Bethell to talk to her about health impacts relating to increased dust storms events in the region after the closure of Port Augusta’s two coal-powered stations and what has motivated her to take-action as a medical professional. Although the Western Australian inquiry into fracking has been concluded, the State Government is yet to release its recommendations on the future of this industry. Former Australian of the Year, Professor Fiona Stanley, and WA DEA Chair Dr Richard Yin write that a public health approach would favour caution until the evidence for the industry's safety is clear. Australia has significant pollution levels, and needs to phase out coal and to reform vehicle emissions controls, following the release of a WHO report that highlighted the terrible impacts of air pollution, particularly on children. DEA's Dr Graeme McLeay told The Driven, that despite the urgency, the ministerial forum on electric vehicles in 2015 has so far lead to “zero action”, and added that something must be done, and soon. Over the next few weeks, school and university students will be sitting their end of year exams. Often an anxious occasion, the latest research shows these end of year assessments will likely prove to be challenging for one reason more than most – the heat, writes Dr Beau Frigault. The Bramble Cay melomys is the first mammal species whose demise can be attributed directly to climate change. Rising global temperatures will have grim outcomes for many living things. DEA's National Chair Professor Kingsley Faulkner, who was interviewed for this article, highlights that human health will be a major cost. Climate change is not only the biggest global health threat this century, it has also become the most urgent health threat. The impacts of climate change at 1°C rise of global warming are already apparent. Weather extremes have resulted in record-breaking fires, floods, storms, heat waves and droughts. Our children are at the greatest risk from climate change-- their bodies and minds are less able to cope with extreme weather and they also stand to lose most in terms of life years lost. "As a broadly trained life scientist, my concern about climate change isn’t the health of the planet. The rocks will be just fine! What worries me is a whole spectrum of “wicked” challenges, from sustaining food production, to providing clean water, to maintaining wildlife diversity and the green environments that ensure the survival of complex life on Earth", writes Nobel laureate Professor Peter Doherty. If Western Australia were to be opened up to unconventional gas mining, emissions from this source alone would have the potential to exceed by three times Australia's total emissions budget for energy, writes DEA's WA Chair Dr Richard Yin. With the latest Intergovernmental Panel on Climate Change report highlighting that we are in a climate emergency, it's time the Mark McGowan Government shows leadership on this critical issue. Doctors for the Environment Australia calls on all candidates in the Wentworth by-election on Saturday to support increased action on climate change. The recent Intergovernmental Panel on Climate Change (IPCC) report endorsed by the Australian Medical Association, highlights that we are in the midst of a climate emergency and urgent action is required to decarbonize, including the rapid phasing out of coal-fired electricity and an end to our dependence on fossil fuels. Local residents in Newcastle have for years been complaining about air quality from diesel vehicles and locomotives, domestic wood heating, and coal fired power stations even though these are 30 to 95 kilometres away. Dr Ben Ewald writes that the expansion of air pollution monitoring in Newcastle, with three new sites established at Mayfield, Carrington and Stockton four years ago, reveals disturbing results. Natural gas (primarily methane) has a reputation for being clean and “good” for the climate because burning gas for cooking, heating and power emits fewer pollutants compared with burning coal-- but it is the process of obtaining the gas that creates major health and environmental concerns, writes Professor Melissa Haswell. As concerned citizens in Europe and the US take governments to the courts for their failure to act on climate change, Dr Graeme McLeay asks whether the Australian government should now stand accused of the same negligence. 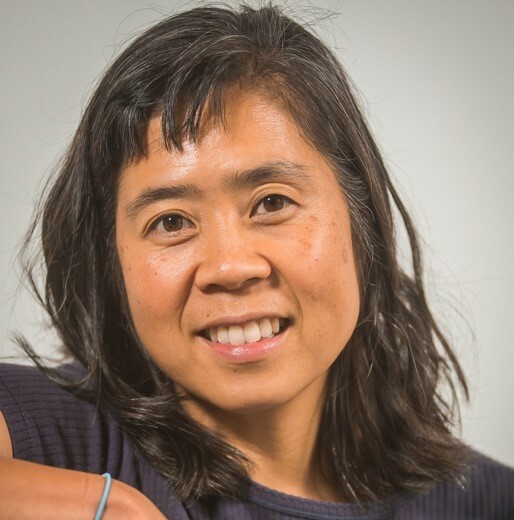 Climate change can lead to 'solastalgia', writes Dr Richard Yin ahead of Mental Health Week starting Monday 7 October. While nostalgia relates to pain from leaving one's home, solastagia is the homesickness you have when your home or sense of place is damaged. DEA member and public health researcher, Professor Melissa Haswell, will discuss the evidence linking shale gas mining or fracking to environmental damage, worsening climate change and potential impacts on human health at the Royal Australasian College of Physicians annual scientific meeting in the NT in October. Also Professor Haswell will urge the NT Government to develop alternatives to fracking that won’t compromise the health of NT communities. 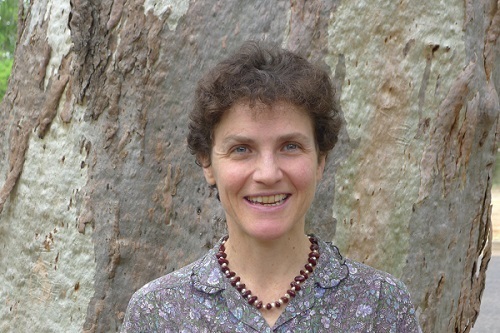 The public health risks of unconventional gas mining of natural gas from underground shale deposits (often referred to as ‘fracking’), will be examined by Professor Melissa Haswell, a public health researcher and member of Doctors for the Environment Australia, at the Royal Australian College of Physicians (RACP) Annual Scientific Meeting in the Northern Territory in October. Bushfires can have significant physical and psychological impacts on those who experience them, and pollutants from bushfires affect air quality, not only locally, but up to thousands of kilometres away from their source, writes DEA's Queensland Chair Dr Beau Frigault. Why are we stripping the very foundations that sustain us? Biodiversity loss and climate change are together set to transform us to an alien world and our survival can't be left to politicians, writes DEA's Honorary Secretary Dr David Shearman. In the Hunter region of NSW the community continues to be exposed to pollution from coal fired power stations and coal mines. In the Upper Hunter there have been numerous air quality alerts which the government continues to ignore. Local GPs continue to be busy dealing with the health impacts such as exacerbations in asthma and sinusitis. Locals have their houses shaken by nearby mine blasts with the risk of exposure to blast fume. They have to make sure they hang their washing out on calm days or their clean clothes become covered by dust. But of course, none of this seems to matter when coal mining and “cheap” electricity is at stake! A flawed rehabilitation of an ash dam has blown coal dust across Port Augusta (SA) and its 14,000 residents for the last two years, reports The Guardian. DEA's Honorary Secretary Dr David Shearman, who is quoted in this story, says the likely mixture of dust and small particles could pose a risk to locals’ health. Climate change is fundamentally a health issue. Doctors' groups need to face up to this truth and divest from hazardous fossil fuels, which are one of the primary drivers of rising temperatures, writes DEA's Richard Yin in this piece for doctorportal. Doctors urge energy ministers ahead of the COAG meeting on Friday to “reject absolutely” the current National Energy Guarantee proposal, as it will delay the necessary decarbonisation needed to stabilise rising emissions that are contributing to the harrowing extreme weather events in Australia and globally. In welcome news, the American Medical Association recently voted to divest their financial holdings from fossil fuel companies. To date the only major medical organisation in Australia to move its investments from these hazardous fuels has been the RACP. DEA has written to the AMA, RACGP, RACS, ANZCA, ACEM, RANZCOG, RANZCP, ACRMM urging them to divest from fossil fuels and signal their commitment to action on climate change. Read the letter HERE. Many regional communities in NSW are affected by mining, which is a very distant and abstract concept to people in urban areas. In Sydney, people don’t engage with the health and environmental issues mining creates – they don’t think it affects them. But what happens when Government approves a mine that does affect Sydney, in particular, its drinking water? 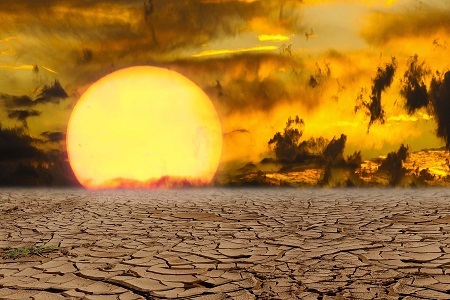 The recently released UK climate plan should be compulsory reading for the Australian Government, because we have no such plan, writes Dr David Shearman who poignantly highlights that: "Considering the lives that will be lost, this is negligence in medical terms. And as a doctor, it concerns me greatly: all doctors recognise the vital need for adaptation to manage the growing health risks of climate change." Read more HERE. THE Coalition’s rush to implement the National Energy Guarantee looks set to lock in a continued reliance on fossil fuels for our energy-- despite clean alternatives, writes DEA's Dr Rohan Church. While Prime Minister Malcolm Turnbull may claim to be "technology-agnostic" when it comes to securing our energy, it's impossible to remain agnostic when faced with the significant disease burden from coal-fired power generation. Read more HERE. The NSW Environment Protection Authority will monitor the Blue Mountains' air quality for the first time after strong pressure from the community, including doctors, about the uncovered coal trains travelling up and down the Mountains. Read more HERE. With the release last week of the ACCC report on power prices, it hasn't taken long for the pro-coal faction to start speaking out. However overlooked and ignored, once again, is the health costs. DEA's Graeme McLeay explains in this article in Independent Australia. A health system with greater focus on preventing illness and promoting health, the judicious use of resources, less waste and low-carbon models of care will have health, financial and environmental benefits across Australia. Peter Sainsbury President of CAHA and DEA member Kate Charlesworth detail the action all doctors can take. Read the article in the Examiner. It is concerning when a leading voice in Australian politics says that as a country, we need to withdraw from the Paris Climate Agreement. The likes of Mr Abbott fall into the category of deniers who choose not to believe that climate change is a terrifying reality. Read this prescription for Mr Abbott from Queensland General Practitioner and DEA State Secretary Lucy-Jane Watt. The failure of the National Energy Guarantee (NEG) to reduce carbon emissions will place Australians at more risk of sickness and death from extreme weather events, warn medical doctors ahead of the Turnbull Government’s plans to approve the NEG in August. The COALition's coal infection: Is it contagious? Graeme McLeay calls out the Coalition in a spoof on coal, with Independent Australia providing an excellent cartoon and a video of John Clarke. Graeme asks “How is it that so many of our elected representatives are so divorced from scientific reality?” Read the article here. Of Places, Faces, and Stories: What can the Environment and Health movement learn from Global Health? Forests add value to our lives in so many ways. It is predictable that an economist (Comment, The Australian 19/6) would look purely at economics to downplay the necessity of emissions reduction. To use simplified and somewhat distorted economics without considering the science of climate change and its broader repercussions on the biosphere does us no service. John Van Der Kallen presented at NSW Parliament House at the launch of the Forests For All: Case for Change event organised by the National Parks Association. The meeting highlighted the NSW government changes in zoning laws which allow clear felling of old growth forest. DEA supports the Forest for all Plan as the way to protect remaining NSW forests. There continues to be an ongoing battle between advocacy to protect the health and wellbeing of the population and the fossil fuel industry. Getting people to listen to and understand the consequences of climate change can seem daunting. As DEA's Dr Kim Loo explains, advocacy can begin in our own home electorates. Her simple strategies of persistence and respect regardless of individual views are helping to shift opinions and encourage the societal changes that are needed to protect our planet. Read more. Electric vehicles can dramatically reduce the numbers of premature deaths from air pollution in Australia, reduce greenhouse gas emissions and also provide a range of terrific benefits for drivers. However despite the many pluses, Australia will continue to be a dumping ground for high polluting vehicles, writes Dr Graeme McLeay. Young people and medical students in Queensland are not being heard in the decisions on new coal mines. We are going to have to manage the environmental, community and health mess left by the fossil fuel industry and New Acland Coal (NAC). 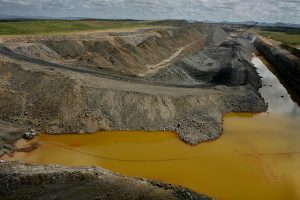 The latest event is that Queensland’s environment department is investigating claims that the mining company New Hope may have circumvented due process by expanding stage 2 operations (some of which overlap with proposed stage 3 operations) at its New Acland coalmine without waiting for approval. This is disturbing given the Courts have not made their final judgment on stage 3 of this protracted case. Read the full analysis in the article by Kaiya Ferguson the National Student Representative of Doctors for the Environment Australia. She is a final year medical student in Brisbane, at the University of Queensland. The Coalition’s failure to mention climate change even once in the budget is a reckless betrayal of the community’s right to good health— especially for young Australians. Young people are recognising that they are the most affected by the government’s decisions and becoming more politically active. Youth groups such as The Australian Youth Climate Coalition (AYCC), Australia’s first Indigenous youth climate network SEED and Fossil Free Unis are engaging in political activism such as protesting, petitioning and in direct communication with politicians. 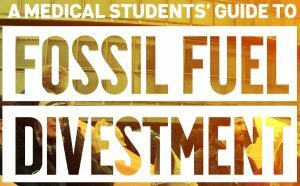 Medical student members of Doctors for the Environment Australia promote divesting from fossil fuels for doctors, their universities and for themselves as well as briefing politicians. Read the full article in Open Forum from Edward Stoios, student member of DEA Queensland Committee. The Conversation is a prestigious publication and DEA publishes in it from time to time. The Conversation is having its annual donations drive and to mark this, 8 articles known by the editors to have had an impact over the past 12 months are republished. One of the eight is by Peter Doherty, member of DEA Scientific Advisory Committee on the New Generation of Environmental Laws. Read here. Queensland contributed 19 million tonnes of greenhouse gas in 2015 from land clearing, which was 80 percent of all the greenhouse gas from land use change in Australia for that year. After much anticipation, Queensland’s land clearing laws were finally passed last month. The laws are a significant step forward. The Annastacia Palaszczuk Government’s land clearing bill will start rectifying much of the terrible damage done to Queensland’s bushland, ecosystems and wildlife under the previous Liberal National Party government. As explained by Lucy-Jane Watt, DEA secretary of the DEA QLD committee, this is a health issue. Read full article in Croakey. 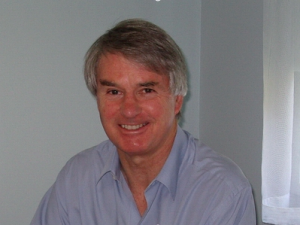 This is an armchair medical recording of Dr David Pencheon OBE speaking at the Western Sydney Forum during his recent tour of Australia. Dr Pencheon is the founding Director of the Sustainable Development Unit (SDU) for NHS England and Public Health England (www.sduhealth.org.uk). The SDU was established in 2007 with the task of ensuring the NHS operated in an environmentally sustainable way – starting with reducing its carbon emissions. Between 2007 and 2015 the NHS reduced its carbon emissions by 11% – exceeding the 10% target set in 2009, despite health and care activity increasing by 18%. This represents a saving of £1.85bn, and more broadly, the first steps in a transition towards a sustainable and resilient health and care system. THE 2018 Australian Petroleum Production and Exploration Association (APPEA) conference to discuss better ways to dig fossil fuels out of the Earth wrapped up in Adelaide recently and it’s a sure bet they did not discuss your health. A report by consulting firm Deloitte presented at APPEA reveals oil and gas executives see electric vehicles as a threat to their industry. They are right to be worried about their bottom line, writes Dr Graeme McLeay. Our healthcare sector produces 7% of Australia's emissions. Hospitals are only responsible for half of that, but there are many ways to reduce their environmental footprint and improve sustainability. DEA's Dr Forbes McGain, an expert in sustainability, outlines five of them. DEA is proud to bring you the Story of Green Hospitals, a must-view short video on sustainable healthcare by our talented medical student members! While hospitals are designed to improve health, they also contribute to the burden of disease because of their significant environmental footprint. There are a range of practical solutions that hospitals can adopt to improve health outcomes for people and planet, as well as reduce costs to the healthcare budget. View now! The Department of Planning and Environment and the Planning Assessment Commission in NSW knocked back an application for the Rocky Hill coal mine because the development is not in the public interest. The mine applicants will challenge this decision at the Land and Environment Court in August. NSW doctors, including DEA members, have written a Letter to the Editor of the Gloucester Advocate about their concerns, and have also urged readers to attend a public meeting on Wednesday 23 May at 6.30pm at Gloucester Soldiers Club. Want to know more about DEA's position? In his Budget reply speech last week, Opposition leader Bill Shorten mentioned tax 39 times and climate change twice, while hospitals were mentioned 12 times. Shorten missed an important opportunity to advocate for urgent climate action, according to Professor David Shearman who is the Hon Secretary of Doctors for the Environment Australia and Emeritus Professor of Medicine at the University of Adelaide. Shearman says the 2018 federal budget should have been a piece of cake for climate and health, leadership and democracy. Instead, the carve-up of the budgetary chocolate cake was driven by self-interest, rather than care for future generations. The communities around the Vales Point coal-fired power station in NSW suffer an increased incidence of asthma. The power station may now face stricter and more consistent pollution licensing as a result of recommendations from the NSW Environment Protection Authority (EPA). DEA and Environmental Justice Australia have had a significant role in bring this about as you can read in this article. What in health’s name is an ERT? Emissions reduction targets are not an idle, notional concept but give reassurance and certainty to those involved in changing the energy mix. DEA suggests that the Victorian government should be setting strong targets up to 2030 in pursuit of its goal of net-zero emissions by 2050, in order to safeguard the health of future generations.” Read full article in Renew Economy. The Tasmanian Government may well be celebrating an apparent benchmark of becoming Australia’s first carbon neutral state 30 years ahead of its plans. But as Dr Rohan Church writes in this opinion piece, the reality is that the Will Hodgman Government is riding on the back of a collapse in the logging industry, and has taken few, if any, active steps towards this goal. Labor’s 2018 budget reply speech: A Fair go for Australia? Among the long list of initiatives aimed at giving Australians a “fair go”, Opposition leader Bill Shorten’s much-awaited budget reply speech did not offer anything new on climate change, emissions or renewables. This is despite the urgent need to address global warming, a public health emergency whose impacts we are seeing daily through avoidable sickness and deaths from extreme weather events. Nonetheless while Labor could have dared to be bolder, raised the bar that much further on climate policies, these are a step in the right direction. It is the opinion of DEA that the federal budget was a short-sighted political maneuver at the expense of a looming climate crisis that will weigh heavily on our children’s future. The scant attention to climate change mitigation and adaptation will dent the government’s capacity to deliver these goals. The budget failed health by almost halving climate spending to $1.6 billion, dropping to $1.2 billion by 2020, and by phasing out of the Renewable Energy Target by 2020. This shows there is no commitment in this budget to do anything about curbing emissions beyond this time. “The state's five coal-fired power stations are allowed "unnecessary variation" in their pollution and operate "well below" licensed limits, providing scope for more consistent and tighter controls, the Environment Protection Agency has found”. In other words they pollute and are contributing to ill health and causing deaths! DEA and EJA, named in the article, have been working on this reform for some time and the statement by the EPA is an important step forward; the next step is to have the licensing fee for pollution raised as detailed in DEA submissions to Federal and NSW Parliaments. Read it in the SMH and Brisbane Times. While general practice has a relatively small environmental footprint, its role is important in the broader context of sustainability... Sustainability in health is more than just about “greening” the health sector, although environmental sustainability is an important consideration. A sustainable health and care system needs to be able to go on forever within the limits of financial, social and environmental resources. It needs to deliver high-quality care and improved public health without exhausting natural resources or causing severe ecological damage. Read full article in the Medical Republic or on the DEA website. DEA doctors in Tasmania have been alarmed to see escalated threats to biodiversity with renewed and seemingly accelerated destruction of native forests in the takayna / Tarkine region. DEA has called for a halt in logging. Read more. At a time when marine ecosystems are under threat from climate change increase in sea water temperature and local pollution, widespread cutbacks to marine sanctuaries are proposed by the Coalition government. Read the article by Katherine Barraclough. This is a further indication of the governments ignorance on the fundamental importance of ecosystems to human existence detailed in a recent DEA submission. The scale of the developments in WA is enormous: a recent report states that the total global emissions from all of WA’s gas reserves (conventional and unconventional) is equivalent to 36.4bn tonnes of C02, that is eight times more than the planned Adani coal mine would produce in its lifetime. Shouldn't 'planetary health' be our bread and butter as primary care physicians? The Anthropocene is of great significance to modern medicine. Air pollution, climate change, extreme weather events and food insecurity are now some of human health’s most pressing issues. Most days in my general practice I see a patient whose presentation has some connection to our rapidly changing ecosystem. Read full article in Medical Observer or on the DEA site (read on). In the Hunter region, community action including that of DEA has at last brought action by the state government with night time inspections to curb current dust production during night time mine work when air quality becomes even worse than daytime. Read full article. The answer is COAL! 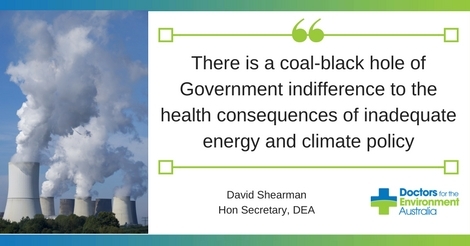 In this Editorial in the Newcastle Herald, DEA is quoted extensively on the pollution from coal fired power stations in NSW and the harm to health that results. The Herald asks why the pollution licencing system suggested by DEA and supported by the NSW EPA has not been implemented. Bob Brown will speak at the iDEA conference on Saturday 14th in Newcastle and in the Newcastle Herald today he writes about closure of the Liddell power station and the contributions by DEA to the control of pollution from coal fired power stations. Dangerous fine particle emissions from Bayswater power station jumped by 69 per cent in 2017, according to new national data showing the Hunter’s biggest air polluters are releasing more toxic emissions than ever before. This Bayswater figure was dwarfed by a 179 per cent jump in PM2.5 fine particle emissions from Vales Point power station. Read DEA’s Ben Ewald’s comment in this article. The recent proposal from legal experts and the Environmental Alliance for new environmental laws recognises that health and the environment are indivisible. It is now the task of doctors' organisations to develop their input. This is a preventative health issue above all, and needs recognition of common cause between doctors and the environmental movement. This article in Croakey explains how reform of climate change and air pollution policy can begin. A delegation of DEA doctors (Ben Ewald, Arnagretta Hunter, Selina Lo) attended the "Better Laws for a Better Planet Symposium" hosted by the Australian Panel of Experts on Environmental Law (APEEL), IUCN Australia Committee, National Environmental Law Association, and Places You Love Alliance, on March 27, in Canberra at University House Hotel. The proposed mining of coal in Queensland is a matter of national and international concern, demanding condemnation from Australian leaders at least of the magnitude of that they expended on sandpaper and a cricket ball. On a week that the UK banned development of a coal mine because of greenhouse emissions, Queensland quietly revived the proposal for a vast dormant mine approval at Wilton, North Queensland. The federal government must establish an independent statutory authority much like the Reserve Bank to provide strong climate action based on consensus scientific and technological expertise to meet the unprecedented threats of climate change to human health and survival. Australia needs an independent National Environmental Protection Agency to safeguard the environment and deliver effective climate policy, according to a new campaign launched today by a coalition of environmental, legal and medical organisations, including DEA. The initiative was launched today in Canberra and David Shearman has written this article to explain its role. The gas norflurane, most often found in asthma metered dose inhalers, is 1,430 times more potent than carbon dioxide as a global warming gas. Another, apaflurane, is 3,220 times more potent. Globally, tens of millions of tons of carbon dioxide equivalent are attributable annually to these inhaler gases. Malcolm Turnbull has accused Senator Richard Di Natale of a lack of empathy in making the connection between climate and bushfires following the late season bushfires in Victoria and NSW in recent days, saying now is not the time to “politicise” these terrible events. Australia has a long history of bushfire disasters. The loss of almost 70 homes in Tathra, New South Wales, and 18 homes in southwest Victoria this week has again reminded us of the risks and huge personal costs of living in a fire-prone country. The risk is increasing as fires the world over are expanding in every dimension – in their timing, with extended seasons of favourable fire weather, frequency and severity. Greenhouse gas emissions from developing WA’s unconventional gas resources will be about three times as much as Australia has agreed to emit under the Paris Agreement, hampering global efforts to contain climate change. The National Energy Guarantee (NEG) and Turnbull Government's current energy policy have significant adverse health implications, causing deaths and illness, in Australia and globally. Health is totally ignored in their deliberations. On Monday evening ABC’s 4 Corners aired an episode ‘Weather Alert’ looking at how Australia’s changing climate is impacting people. Mounting evidence suggests our changing climate is having an impact on everything - from what we grow, eat and drink, to house prices and the cost of insurance. 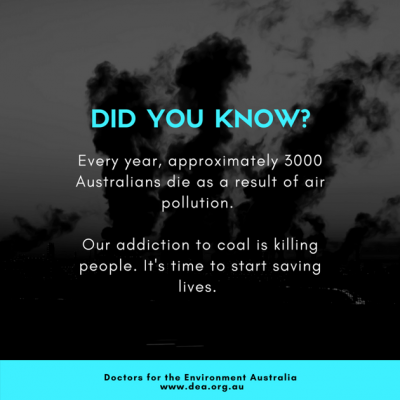 Doctors for the Environment Australia provided the health segment for rising temperatures also have a significant, often ignored, impact on health. Business is rapidly recognising their enterprises are increasing its interaction with business and commerce whenever possible. We have a chance to shape Tasmanians' future health by demanding government takes climate change seriously. 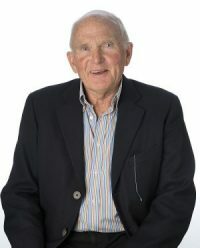 Rohan Church is a Launceston doctor and Chair of the Tasmanian branch of Doctors for the Environment Australia. Doctors for the Environment Australia has endorsed the Tighes Hill community’s overwhelming support for the closure of Carrington coal terminal and concentrating all coal exports on Kooragang Island, which was further away from residential areas. This is a developing issue of great importance. Many DEA members would have seen a leak to The Guardian; we await the definitive proposals from the Environmental Alliance. Their proposal arises from a recent report from a large group of distinguished environmental lawyers. The main aim is to provide a secure basis for a National Environmental Protection Authority, rather like the USEPA but secure against Trump-like demolition. With political games on environment, climate and health policy in Australia for 20 years, a secure Authority is seen as vital. I suggest all members read the long list of recommendations from APEEL. A higher than average incidence of health issues in the Latrobe Valley has promoted the state government to look into the impacts of toxic emissions from the region's three power plants. Poor air quality caused by blasting, dust and transportation of coal is having a marked impact on residents in the area, with low birthweights being nearly two percent higher than the national average. In welcome news, Victoria’s environmental watchdog is reviewing the licences of the state’s three remaining coal-fired power plants which supply about 80% of the state’s power. Figures produced by Doctors for the Environment Australia at a recent Planning Assessment Commission hearing into a coal mine expansion in the Hunter have attracted intense community and media attention, including an editorial in the Newcastle Herald which posed the question: How much data is needed to get action? South32 chief executive Graham Kerr is candid about why the mining company he leads is turning its back on thermal coal: It's becoming less appealing to investors, it has an uncertain future and it is linked to climate change. Doctors are today calling on NSW Health to undertake as a matter of urgency a proper health study looking at the reasons for the dramatic spike in hospital admissions in the Upper Hunter. Shocking data recently highlighted by DEA show Singleton Hospital admissions in NSW’s Upper Hunter spiked by 28.6 per cent during periods which coincided with poor air quality in the area. climate, and are likely to become more common and more intense over the next few decades. Doctors for the Environment Australia has today welcomed the Queensland Government’s decision to reject the environmental approvals for the expansion of the New Acland Coal mine, describing it as the only sensible decision open to the government given the potential risks posed by the project. Victoria’s forests are simply extraordinary. They support our health in a variety of ways and there is currently a community call for a new Great Forest National Park in our Central Highlands. Despite this, state government owned Vicforests continues industrial clear fell logging. In addition to the push from environmentalists and scientists there is a strong argument for the protection of our remaining forests on health grounds. When I received the January newsletter from an alma mater, Yale University, there was a tribute to economist William Nordhaus. 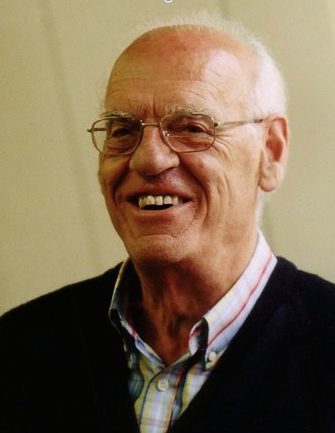 He was already waxing on the issues of the day when I was doing postgraduate study and working in the Yale University Medical Centre in 1965. Nordhaus is central to DEA interests and aims and indeed to all our lives and the future, they are the issues of coal and the Commons. Nordhaus’s work is about the economics of the Commons. Unconventional gas, health, economics and incompetent regulation - an everyperson’s guide to what’s going on. We know from the work of William Nordhaus that coal has no economic value to communities if all social, health and environment, and climate related impacts are taken into account. Coal remains viable only in the minds of climate deniers, some governments, and fossil fuel barons who continue to profit despite its harms. 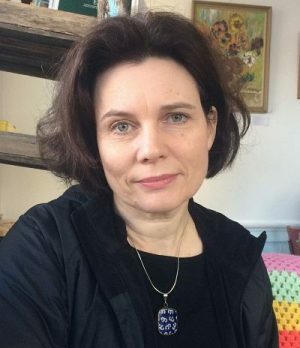 A study in the International Journal of Environmental Studies by DEA’s Dr Geralyn McCarron, showing a possible link between pollutants from the CSG industry and a spike in hospitalisations in the Darling Downs raises questions about safety, but also about how the industry responds to public health concerns. In response to the paper, the peak national gas industry body the Australian Petroleum Production & Exploration Association (APPEA) attacked the author and made sweeping and incorrect statements about the study, rather than expressing concern about the findings. In this Croakey blog, Dr McCarron responds to the attacks and calls on health authorities to take responsibility for further investigation of the health impacts of the CSG industry on local residents. National air quality reporting standards are failing to protect people's health argue DEA members, John Van der Kallen and Ben Ewald, after windy weather whipped up dust from local coal mines in the Hunter Valley last weekend resulting in air pollution for residents that breached regulations. Yet there are no significant consequences for the mining companies for violation of standards. It’s common knowledge that the amount of sand on beaches changes over time. In heavy seas, sand is eroded from beaches. In calmer periods, sand is deposited. However, we are entering a new world and can no longer be reassured by the past processes where sand on beaches is replenished. After a successful eight -year community led campaign, the SA government recently announced that the world’s largest stand-alone concentrated solar thermal (CST) power plant will begin construction in Port Augusta. This will transform a city which was powered by ageing coal fired power stations into a city with a bright future as a renewable energy hub in the 21st century. What’s more, doctors and medical students were a major driving force behind this decision, writes Dr Ingo Weber with AMA vice-president Dr Chris Moy. Doctors are alarmed, but not surprised, at data estimating the significant carbon footprint of our health care system - over 7% of Australia’s total carbon footprint. There are arguably three dimensions of medical ethics. The first is the health of the patient. The second dimension is the health of the community. And the third dimension concerns how our actions both in and out of the clinic affect the global community and natural world around us on which the health of current and future generations depends. The diversity and complexity of the health issues that we face, whether as journalists or public health advocates or policymakers, can be overwhelming. In dealing with a constant avalanche of health-related news, it can be easy to lose sight of the big picture. The Victorian Government released a strategy for protecting Victoria’s biodiversity in April 2017. This article is the third in a series in Park Watch (see the June and September 2017 editions) that addresses the strategy and why it matters. Protecting Victoria’s Environment – Biodiversity 2037 is the first formal statewide long-term biodiversity plan in two decades, and it contains a range of priorities and initiatives. Chapter Four, ‘A healthy environment for healthy Victorians’ explores why spending time connecting with nature is good for our health as individuals and as a society. he Victorian Government’s Victorian Memorandum for Health and Nature is also a significant step in recognising that looking after nature also means looking after the health of people and their communities. Doctors for the Environment Australia has today applauded the rejection of the Rocky Hill open cut coalmine proposal near Gloucester. My guess is most Australians aren’t aware that an area of forest and bushland the size of the MCG is currently bulldozed in Queensland every three minutes, mainly for livestock grazing. Data released this year reveals that over 1 million hectares have been cleared over the last three years, making Eastern Australia a global deforestation hot-spot alongside places like the Amazon, the Congo and Borneo. Inexcusably, we are the only advanced economy still engaged in broad-scale land clearing. OpenForum: Australia comes bottom of the class on climate action. Last week, Germanwatch and Climate Action Network (Europe) announced the results of their annual survey of countries’ climate change action throughout the world. Who is the best at being the worst? Who does the most to do the least? And who is working really hard to wreck our climate? These were some questions on the minds of judges of the “Fossil of the Day” awards at the recent COP23 talks in Bonn. 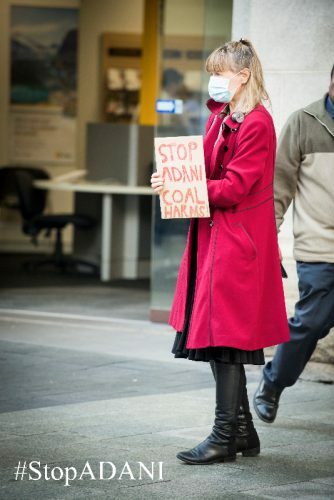 Dr Alice McGushin, a member of Doctors for the Environment Australia, was there to collect on behalf of Australia. 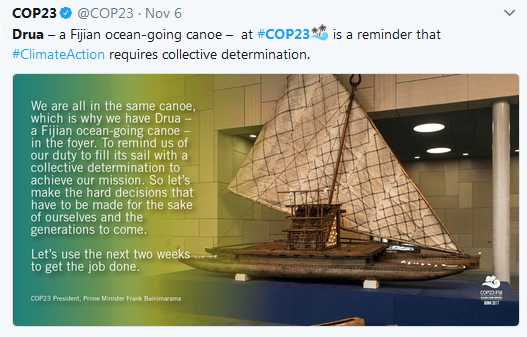 It was a “bittersweet moment”, she writes below in her final report from the climate talks (read her previous article for Croakey here). The proposed Rocky Hill open-cut coalmine near Gloucester should be rejected outright by the Planning Assessment Commission (PAC), which is meeting this week. There are plenty of reasons for tearing up the proposal – open-cut mines are bad for health. 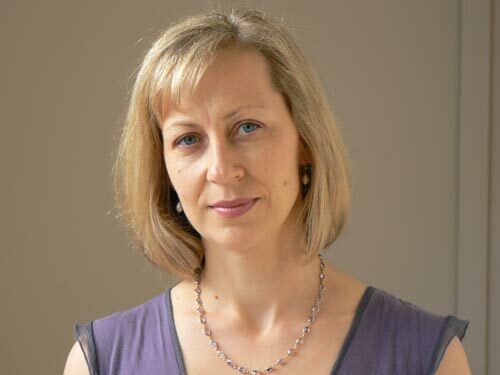 Dr Dimity Williams is a GP on a mission. In what health experts describe as embarrassing and shameful, Australia has come in as one of the worst performers in an annual assessment of 57 nations’ climate policies, heading only three other countries. Will they kick the coal to save the coral? The proposed Rocky Hill open cut mine will have a major impact on the health of the local community with the mine simply too close to the township of Gloucester. DEA congratulates Medibank Private Health Insurance on their announcement today that they will commence divestment from fossil fuels, in acknowledgement of the health impacts of climate change. This follows their announcement earlier this year that they will reach carbon neutrality in their own operations by 2018. The proposed Adani-owned Carmichael coal mine in central Queensland is currently in the final stages of planning with the support of both the Queensland and Australian governments. It is in the interest of human health, locally and abroad, for the medical profession to advocate on behalf of the community and lobby our legislators to reject this project. Doctors for the Environment Australia have welcomed the Australian Automobile Association’s (AAA) call for the introduction of a real world testing of cars, as the initiative would save thousands of lives. John Menadue – Pearls and Irritations: The Devastating Health Costs of Coal. Amid all the debate about energy policy – about security, affordability, and carbon emissions – there is one critical issue that has barely rated a mention: human health. Coal is hazardous to our health; renewables are not. In any discussion about energy, the human health costs of coal and the significant health benefits of switching to safe and healthy forms of energy must be considered as seriously as security, affordability and emissions. Australia’s annual emissions from energy use have increased to their highest-ever level according to the recent report by respected energy expert Hugh Saddler. This finding is disturbing, and points to a failure by government to address climate change across all sectors. Doctors have today called for a comprehensive government plan to better prepare the health system, including emergency hospital departments, to cope with the extra admissions from the projected increases in heatwaves. A new study warning Australia’s major cities are likely to reach highs of 50C by 2040 – even if the world meets its target of limiting warming to 2C above pre-industrial levels – is yet more evidence that without immediate and urgent action we are facing a looming public health crisis during heatwaves and other extreme weather events. The debate on energy has omitted one vital factor that may have provided a rational outcome – health. It requires dedication by the Federal Government to avoid mentioning health in the context of coal. 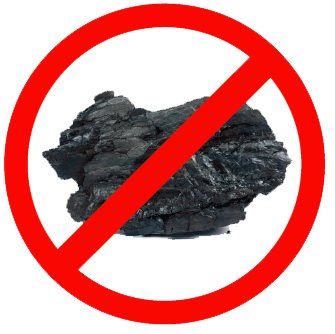 This avoidance is cloaked in the mantra of “coal is clean”, “clean coal”, “coal is good for humanity”, “coal is cheap” – all flying in the face of universally known evidence. Imagine there was a giant new tobacco factory being planned for regional Queensland. And that both the state and federal governments were backing its development, and offering public money to support it. There would likely be considerable outcry from medical and health organisations and much public debate about supporting this unethical industry. Any water discharged from the Springvale mine, near Lithgow, needs to be treated to the legally required standard to ensure Sydney has safe drinking water, urge health experts. Coalition talk of dumping Finkel’s Clean Energy Target leaves Australia’s climate policy in tatters. There are numerous examples of where communities have been put at risk from the rapid expansion of the coal and unconventional gas industry in NSW. Bulga, Singleton, Camden are some of the sites that come to mind. Even AGL recognises its Liddell power station is neither “clean” nor “cheap”, but the Coalition Government promotes such lies to preserve its own power over community health, writes Dr David Shearman. Liddell coal-fired power station — one of the most polluting in Australia — must close earlier than 2022 rather than later as suggested by the Turnbull Government on Tuesday, urge concerned doctors. Health professionals, farming families, environmental activists and community members attended a forum in Townsville last week where serious health concerns were raised about the Adani Carmichael mine. Our thanks to James Cook University medical student Kira Muller for providing the following report for Croakey readers. In a world that must transition to renewable energy to ensure our future, the visionary Mayor of Port Augusta (PA), the late Joy Baluch said “God is not going to send us a bill for solar energy, but the gas industry will”. 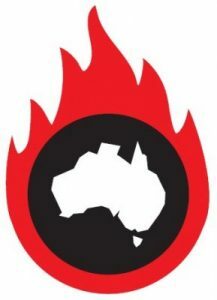 Croakey recently featured a call to arms on climate change policy from Mark Butler, Opposition spokesman for climate change and energy, following the launch of his book Climate Wars. In her review of the book, Dr Rosalie Schultz, from Doctors for the Environment Australia, welcomes its currency and accuracy. But she notes Butler’s determination to continue to wage the political war on climate change, and lack of acknowledgement of Labor’s failures and restraints. Thus, she says, the book loses an opportunity to “address the climate conflict through a transformative approach”. Climate Wars is published by Melbourne University Press. This week’s report on Australian coal-fired power stations reveals staggering levels of polluting emissions and underlines the problems created by coal combustion for the health of the planet and its inhabitants, and provides further evidence that coal as a fuel is approaching its use-by date. Doctors are calling for the phase out Australia’s coal-fired power stations within the next 10 years to reduce the numbers of avoidable deaths and illnesses, in response to a damning report released today. Doctors applaud the South Australian Government’s support of a solar thermal plant with storage in Port Augusta – the biggest of its kind in the world. DEA was pleased to contribute to a book by the Australian Marine Conservation Society outlining the value of the Great Barrier Reef. It is called ‘The Reef- a love story’ and was presented to the Minister for the Environment & Energy, Josh Frydenberg and also shared widely at the World Heritage Committee meeting in Poland. Josh was reportedly deeply appreciative of the book. You can download the book from this link to a drop box folder (to view it as a book you need to open the downloaded file in Adobe Acrobat and view in a 2 page format). The Land Court recommendation against expansion of New Acland Coal (NAC) open cut mine has exposed the ongoing complaints by neighbours, about dust, noise, vibrations and lighting spills from the existing mine. Could this be the turning point for improvement or even reform of health and environmental assessments in Queensland? DEA expressed alarm after learning that a major Australian hospital had publicly backed a proposed coal mine. COAG: Can democracy weed out climate deniers? Prime Minister Malcolm Turnbull’s statement that “Those people who say coal and other fossil fuels have no future are delusional and they fly in the face of all economic forecasts” confirms that four Australian states were right to go it alone, after his government failed to deliver a clean energy target at the COAG meeting. Media reports last week that the government planned to introduce strict new fuel and vehicle efficiency standards starting in 2022, characterised as a “carbon tax on cars”, brought an emphatic denial from Minister for the Environment and Energy Josh Frydenberg. 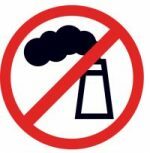 With mining interests calling for new high efficiency coal fired power stations to be built in the Hunter region, it is time to examine the health effects of these proposed plants. Australia’s energy debate needs to consider mounting evidence that unconventional gas extraction poses a serious risk to human health, argues David Shearman. 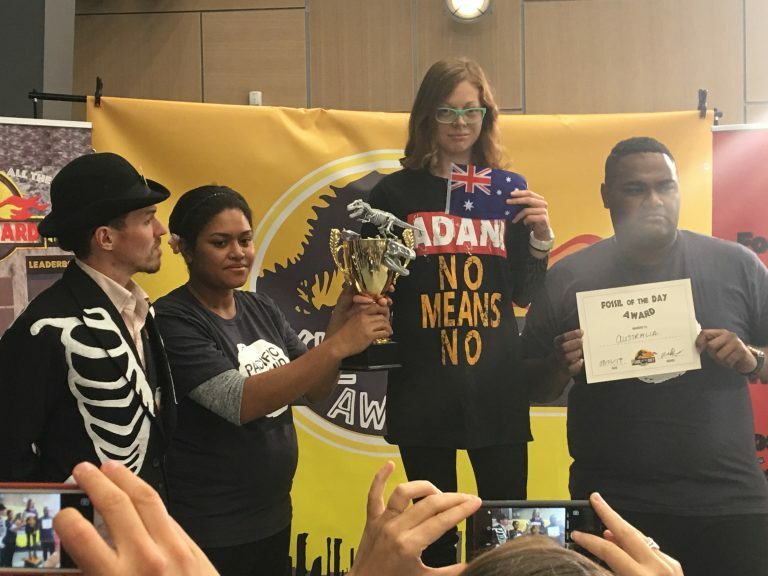 Young doctors across the nation will today start a week-long social media campaign aimed at pressuring the Commonwealth Bank not to fund new coal mines, including Adani, because coal is hazardous to health. News that the Finkel report on how to make the energy market secure is facing bitter opposition among the ranks of the Coalition doesn’t bode well. Hazelwood, in Victoria’s Latrobe Valley, was noted for being the most carbon polluting coal-fired power station in Australia. The plant ceased operations in March – five months after majority owner, Engie, announced the decision to close when it became clear that it could not meet the estimated $400 million to maintain health and safety standards ordered by WorkSafe Victoria. A three year notice to be given by companies for closure of air polluting coal power stations means three years with more deaths and illness in the community, according to health experts responding to the Finkel report released today. Coral Bleaching of the Great Barrier Reef: An emerging public health crisis? Human health and the environment are inextricably linked in a number of ways. 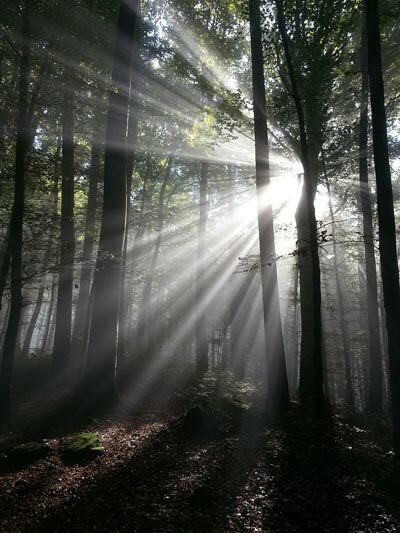 Natural ecosystems support our health by filtering our air, providing fresh water and food, protecting against spread of disease and pests, forming physical defenses from weather, and regulating our climate. Just one day after the Adani board gave the go-ahead to the Carmichael coal mine project, nurses, doctors and concerned community members wearing stethoscopes and surgical masks and carrying placards will deliver letters to the Commonwealth Bank’s Board of Directors at the bank’s headquarters on Sussex Street, Sydney, and to key branches in Brisbane and Perth. Leading medical doctors have today made an urgent call to each of the Board members of the Northern Australia Infrastructure Facility to rule out an investment loan allowing Adani to build a rail line from the Galilee Basin to Abbot Point, because of the dangers coal poses to public health. The Turnbull Government has once again prioritised growing the economy over human lives, writes Dr Kris Barnden. Doctors in stethoscopes and surgical masks will today deliver a letter highlighting the risks to health from the proposed Adani coal mine to the Commonwealth Bank’s Board of Directors in Sydney. Doctors for the Environment Australia calls for proper implementation of the pollution license fee system for NSW power stations to protect public health. Doctors slam yet another review of Australia’s electricity supply, saying it raises questions of probity, and also delays efforts to reduce green-house gas emissions from dirty energy production that is harming our health. There is growing concern in the NT that the Gunner Government may remove the moratorium on fracking. However, rejecting the moratorium would be a grave mistake, and Territorians know this. That’s why we voted for the moratorium in the landslide ALP victory in August 2016. Medical doctors have called for an extension of the moratorium on fracking in the Northern Territory, fearing that the Government’s focus on developing a regulatory framework for fracking could signal support for this highly controversial procedure. Media release: Are Australia’s Emergency Response systems prepared for the Climate Emergency? Immediate Past Vice President of the AMA asks Are Australia’s Emergency Response systems prepared for the Climate Emergency? Universities and professional organisations must better prepare doctors and medical students to deal with the impacts of climate change, urge Australia’s leading medics. About 3,000 Australians die prematurely each year from outdoor air pollution, and our cars are a major component of that pollution, particularly in traffic congested areas. This BBC report on the proposed Adani Carmichael coal mine makes the point that it would be one of the biggest mines on the planet with a reference that points graphically to its global impact – “occupying an area nearly three times larger than Paris, where world leaders hammered out a landmark agreement to combat climate change in late 2015”. I had felt deeply uncomfortable about my contribution to climate change for decades. My electricity and car were powered by fossil fuels. My groceries were trucked and flown in from distant places. My bank invested in coal, oil and gas. It may be merely symbolic but, for me, our surgery garden is an extension of what we do as doctors. 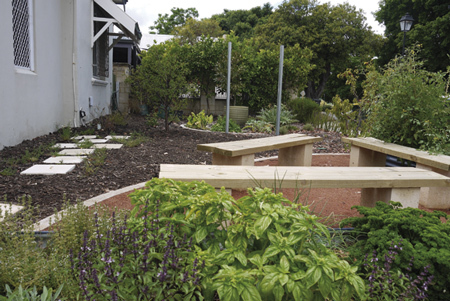 We all know that the major determinants of health sit outside consulting rooms and hospitals so here’s the story of our very own green space. Congratulations to the Victorian Parliament for finally passing the legislation to ban fracking in the state. Fracking is bad for our health, and an increasing number of reports from the United States show that there are adverse impacts on the health of nearby residents. Importantly, the burning of fossil fuels causes climate change. The increasing frequency of heatwaves, bushfires, floods and severe storms are costing Australians dearly in terms of health and social disruption. Children living or attending schools close to major roads are exposed to more hazardous air pollution, warn health experts who are calling for sweeping laws to control vehicular emissions and so improve air quality. Research that Population Health Professor Marj Moodie and I have conducted has found that incidental physical activity from active transport, such as walking to catch the train to work or cycling to the shops, can save lives and money. Independent Australia: Renewable Energy: It’s not a jump to the left. With the first of RenewWA’s climate forums starting today at Edith Cowan University in W.A., Amy Marshall from Doctors for the Environment goes in to bat for renewable energy. Air pollution from blowing ash in Port Augusta in SA has become a major issue. This article and others on the topic of coal from the DEA team in SA has failed to be published in the Advertiser (NewsCorp). 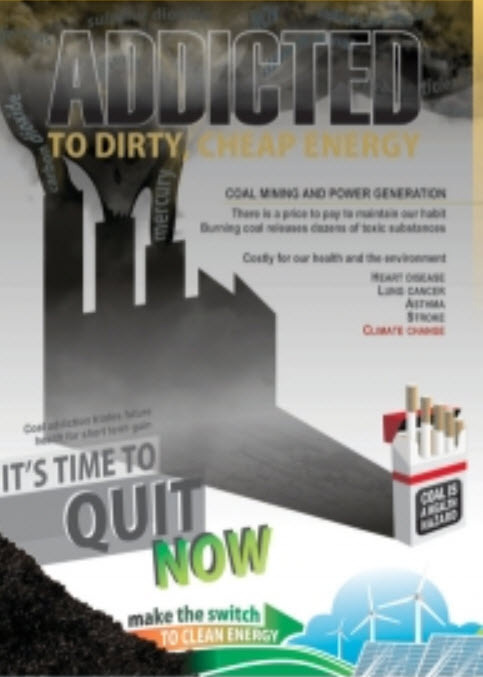 The dedication of the Australian newspaper and related papers to coal development, clean coal etc is in our view based on incorrect scientific interpretation and carries considerable concerns for individual and world health. The health impacts of burning fossil fuels should be front and centre in the national debate on the future of the electricity network, writes Adelaide doctor David Shearman. DEA’s Michael Williams on why doctors are concerned about rising temperatures and what we can do about them in this terrific GetUp video. 2017 is not the year for the Victorian EPA to be approving an upgrade of a brown coal power plant, Loy Yang B, allowing the most polluting source of electricity production to continue for a further 30 years. The Victorian Government has recently completed its comprehensive review of the VIC Environmental Protection Authority (EPA) and has committed $45.5 million over the next 18 months to extend its scope and powers, a sizable injection considering the EPAs current annual operating budget of approximately $70 million a year, suggesting a sincere desire by the Government for true reform. The Guardian: Carbon countdown clock: how much of the world’s carbon budget have we spent? One way of looking at emissions targets is as a fixed budget amount, or quota. This countdown shows one estimate of how long it will take to reach an amount of greenhouse gas emissions beyond which 2C of warming will be likely. With summer here, the brown, crunchy, lifeless patches on my lawn in Perth remind me that much of Australia is getting hotter and drier. Working in public health, it also reminds me of a call to action – not just for me, but for all of us. Not for more wetting agent and regular watering (although, yes, that will be needed). The community is paying the cost of polluted air through health problems such as heart disease, lung disease and asthma – largely caused by coal mining and coal-fired power generation. Doctors have made a submission on the NSW Clean Air Plan to urge action to improve health. It is bushfire season in WA again, and we know the wildfires are getting worse each year. The State Government is trying to ramp up awareness of the bushfire risk and more money is being put into firefighting services. This investment is desperately needed, but it is not nearly enough. The magnificent old growth forests of East Gippsland are a national treasure. Yet state-endorsed logging continues in this region, undermining the rich tapestry of plants and animals that support human health. Australia’s increase in greenhouse emissions is freeloading on other countries which are taking action to reduce them. New South Wales’ big five coal-fired power stations should pay 49 times more than they are paying for the pollution they emit, if we are to substantially improve public health. As the Australian Government’s climate change policy is struggling for credibility, it is more important than ever that we try to make a difference collectively and as individuals to help minimise global warming. Dr Kim Loo explains how. Prime Minister Malcolm Turnbull should consider his position if he is not prepared to listen with an open mind to the policy advice from the experts at the COAG Leaders meeting on Friday 9 December.